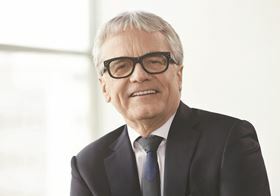 Wolfgang Eder, chairman of the management board. voestalpine reports a yearly increase in revenue by 2.0%, from €11.1 billion to €11.3 billion, despite ‘an economic environment influenced more than usual by political events including the Brexit referendum in the UK, the US presidential election, terror and war in the Middle East, the challenges of immigration in Europe, and the global rise in trade barriers,’ the company said. Aside from generally strong demand in the steel sector, it was the automotive, aerospace, and consumer goods customer segments in particular which posted high order levels, the company said. ‘We expect a strong, significantly higher revenue and earnings performance for the first half of the year compared to the same period in the previous year,’ said Wolfgang Eder, chairman of the management board. ‘However, it will only be possible to evaluate the economic situation for the second half of the business year with more precision after the summer ahead. This story is reprinted from material from voestalpine, with editorial changes made by Materials Today. The views expressed in this article do not necessarily represent those of Elsevier. voestalpine plans to invest €20 million in expanding metal powder production for additive manufacturing (AM). Umicore reports that its revenues increased by 1% in the first quarter of 2016.